While pumpkin spice is the epitome of autumn (which we enjoy in latte form at Perk Avenue), October is also the time to celebrate the fruity, roasty, grainy, rich flavors of beer! That’s right, it’s Oktoberfest time! A brief Oktoberfest history: While Madison was beginning to form in the states, the annual Oktoberfest was forming in Germany to promote Bavarian agriculture. This 16-18 day event, usually spanning from the end of September into early October, included horse racing, tree climbing, parades, dancing, and of course beer drinking since 1811. Today, Oktoberfest is celebrated all around the world, and we are bringing the party to Madison! Let’s get started! Let’s start our journey at Chophouse Grille on Main Street, a Madison staple since 1996. Grab a seat at their expansive bar and order your favorite brew as your watch the game or observe the locals and tourists alike enjoying a meal. If you need a quick bite with your draft, try Stonewall’s Spinach & Artichoke Dip! Beer Recommendation: Look for their chalkboard sign for featured beers and you can’t go wrong! An eclectic menu with one of the best bar ambiences in all of Madison, Mint Juleps Kitchen is the perfect place to grab a beer and relax. Their lounge area (pictured above) is beautifully posh and is a great place to catch up with friends over drinks. Beer Recommendation: While we would normally recommend their famous mint julep, try a local brew like Mean Machine Red Ale by Oconee Brewing Company located just down the road in Greensboro, GA! With outdoor seating overlooking Madison’s square, you do not want to miss Madison Produce Co. and their wonderful selection of craft beer! This local favorite on E. Washington Street is laid-back, pet friendly, and has beautiful locally-sourced produce, honey, and more. Beer Recommendation: A Blue Moon with a fresh orange slice is the way to go here! Welcome to a long-time favorite in a new, historic location: Amici Livery! You might recognize the name and remember they sat on Main Street since ’93, but now they’re in a larger location complete with a brewery and outdoor terrace with shuffle boarding! Amici is the place to be for in-house brewed beer, killer pizza, and weekly events from karaoke to corn hole tournaments! Sit down, sip on something, and stay awhile! Beer Recommendation: You have got to try an in-house beer at Amici. They’re all delicious! Tucked in the old icehouse building across from Town Park, Ricardo’s Kouzzina offers amazing Mexican-Mediterranean food, great ambience, and yet another perfect spot for a brew! Beer Recommendation: There’s lots to choose from here, but we recommend trying a citrusly pale ale to go with the oven baked feta cheese you’re about to eat (you can thank me later). Our last stop is Town 220, a drop-dead gorgeous restaurant with five-star food, drinks, and service. 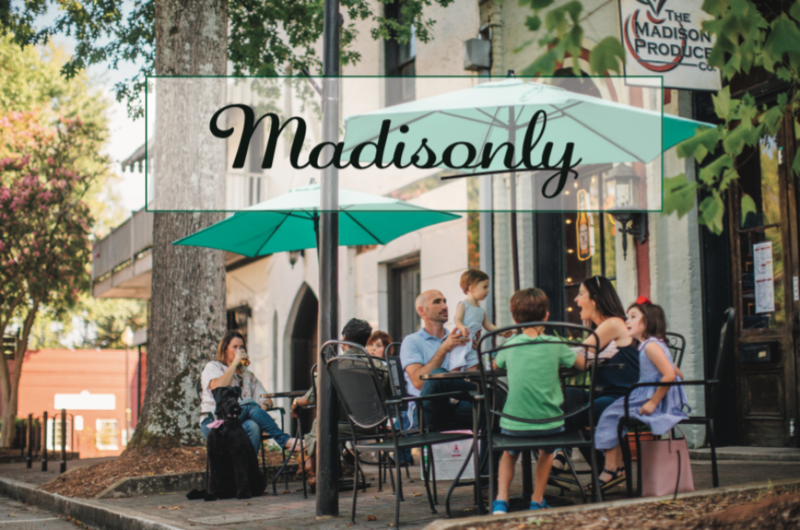 You are sure to mingle with Madisonians and have a wonderful time doing so in this upscale eatery any day of the week. Beer Recommendation: Ask the knowledgeable bartender for advice on what would go best with whatever appetizer your choose! Farmview Butcher Glen Wellman and his team will lead you ‘around the world’ as you create sausage blends with the savory and delicious spices while learning and using Farmview’s step-by-step process of making sausage blends, working with different types of casings, cooking methods and more! More info here. Join the fun for one of Madison’s most popular festivals on October 13th, complete with a beer garten in the park! Sample and vote for your favorite chili, shop the handmade/homegrown market, listen to music in the toe-tapping music tent… and enjoy a great day in Madison. More info here. Where is your favorite place for a brew in Madison? Thanks for reading, y’all! Cheers! Previous Post It’s Chili Cook Off Time!